Every week Pablo Gunner uses the little intelligence he has to muster up some written comic book reviews of the titles that he thinks his fellow nerds would want to know about most as well as the most questionable books, and the books that didn’t quite make it onto the Comicast. And sometimes he’s a slacker and only posts a couple of reviews at first. 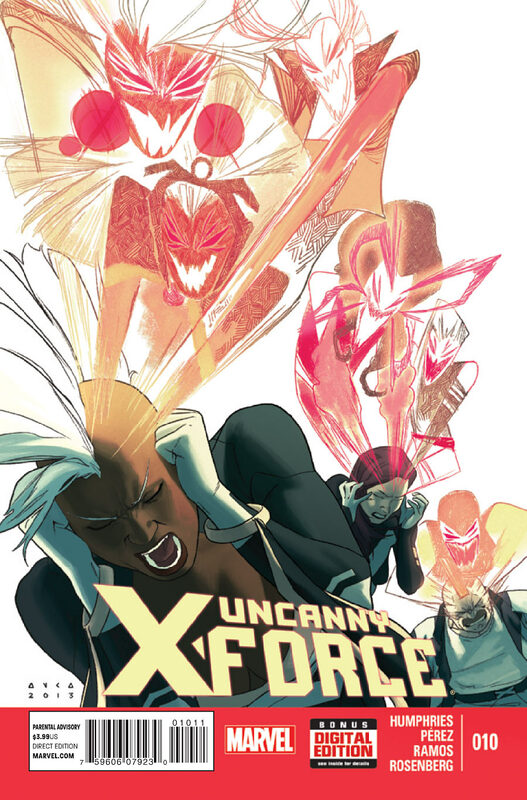 Enjoy his reviews of Wolverine #8, Uncanny X-Men #10, Uncanny X-Force #10, and Secret Avengers #7. This issue is fast paced from the word go and doesn't stop. Maria Hill confronts Daisy Johnson to unseat and replace her. Hill is playing the the politics card and Daisy is the upfront no bs gal. 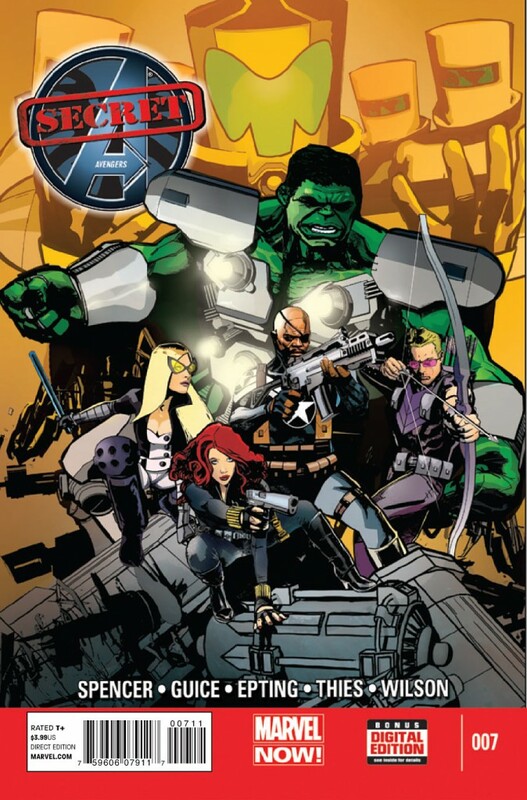 Meanwhile Hawkeye, Black Widow, and Nick Fury are fighting for their lives on AIM island trying to get out of a bad situation gone worse. Mockingbird and Taskmaster are undercover and realize that the team failed in their mission and may have a chance to correct it. 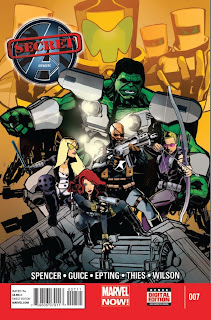 While Daisy is trying to help this team Maria Hill is doing the exact opposite. The story and issue were pretty good this week but there's no doubt this'll be better in trade. The art was spectacular as usual with Guice, Epting, and Theis. I was hoping this title would get better after the last story arc and though this issue is better than the last few it's not by much. The focus has been reverted back to the team. This makes the issue more bearable, fun, and interesting but not much else. Bishop wakes from his coma to spout off about these ghost like creatures that take over you. The creatures show up and they fight them off but it doesn’t fare well for them. I'm still not caring for the art but I don't hate it like the last arc. Much like the rest of the issue it was mediocre at best. The writing continues to be good and the art style changes with Irving returning to art. Magneto meets up with Mari Hill again. 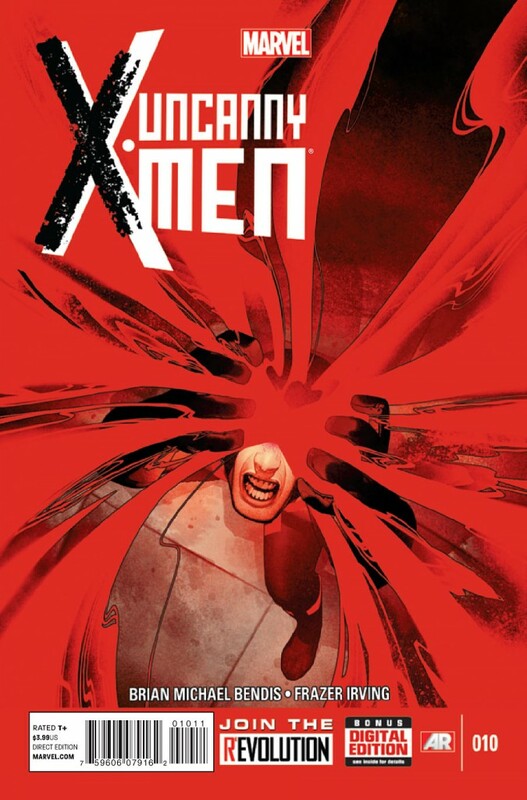 Their banter remains fun and interesting as do the images of Magneto's past. Maria plays along with his games but she's getting sick of it so she throws a curve ball his way. It's obvious he's caught off guard at the least but we'll see if this new relationship turns out better than the one Hill and Magneto have. The mutants find out a huge pro mutant rally is going on so the team decides to make an appearance. Cyclops for once sounds like the voice of reason rather than a delusional supremacist douchebag he's been lately. Much like the last artist Bachalo, Irving is spectacular at close ups, big panels, and spreads but not so good at smaller panels and afar views. 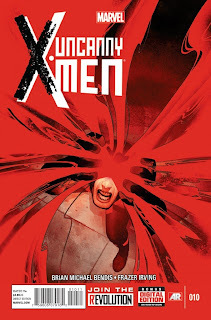 If you don't mind or like the abstract art then this issue is for you as Bendis' writing always keeps it interesting. 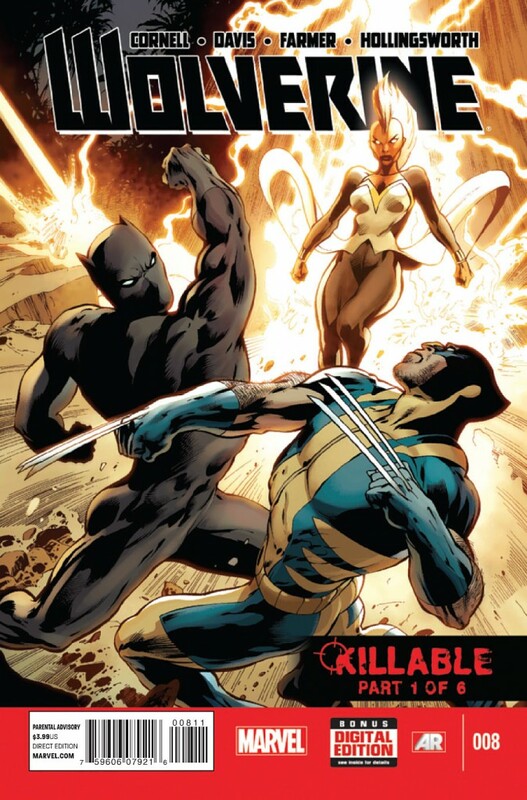 Ok so Wolverine doesn't have his healing factor anymore so him and SHIELD go after the microverse organisms that did this to him and they just so happen to have migrated to Wakanda. Wolverine's idea to figure out if T'Challa has been taken over by one of these viral organisms is to push his buttons meanwhile SHIELD sneaks in. Fortunately for all of them Black Panther knew they would do thing and used this plan to seed out his people controlled by the virus. In the end its T'Challa that ends up making Wolverine lose his cool and he still doesn't have his powers back. I really don't care for or like this story but Davis did an awesome job on art for his return to this title.